Please e-mail our sales department if you have any questions. What is the mDiecast.com Return Policy? What does "item availability" mean? Usually orders are fullfilled and shipped within 24 hours. You will be notified by e-mail when your order gets shipped. If you have any questions, please contact our sales department. Upon the shipment of your order you will be given a tracking number. You can track your package on the UPS', FedEx's or USPS' website. All our products have availability information on the product information page, if there are any delays, you will be notified. Please e-mail our sales staff if there is any issue with your order. You cannot cancel your order after it has been shipped. If you have not received a shipment notification you can still cancel your order. Please contact our sales department to cancel or return your order. Please e-mail our sales staff if there is any issue with your order, we'll be glad to resolve any issues. You can find registration form under "Utilities" on the top of this page. You can find member tools under "My Account" on the left side of this page. You can find member tools under "My Account" on the left side of this page. After you fill out the "Forgot Password" form you'll get your password within 10 minutes of your ruquest. Wish List is a virtual list of models that you would like to obtain for your collection in near future. This tool makes tracking of your collection easy and painless. You can also print out this page if you want to have this information in a hard copy. We accept all the major credit cards (Visa/MasterCard/Discover/Amex), personal checks, money orders, PayPal. Your credit card will be charged only after your order gets shipped. We will not charge your credit card prior to us sending your model out to you. mDiecast charges sales tax for orders shipped to California. Sales tax is automatically computed on product(s). We do NOT charge taxes on shipments to any other state or country. Only if the order is shipped within California. Please contact our sales deparmtnet, we'll be glad to send you another copy of your order receipt/invoice. Please e-mail our sales staff if there is any issue with the product. Please notify our support department. We'll also pay the return shipping cost if the return is a result of our error. You may return most items sold by mDiecast.com within 30 days of delivery for a full refund except specially ordered items. Less shipping and handling charges. You can use the search function of our site. You can also browse our site by Manufacturer/Scale/Category. Please use the buttons on the top and the left side of the webpages to navigate. You can also use the search function if you are looking for something specific. You can enter coupon code during the checkout stage of your order. mDiecast will price match competitors, provided by a valid proof of competitor's price. We will not price match closeouts, onilne auctions or individual collectors. For your convenience, all of our most current pricing is listed on our web site and updated in real-time. Prices are non-negotiable. 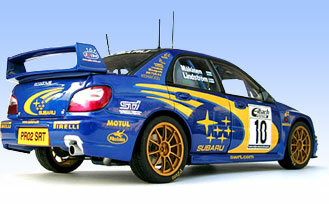 Shipping of one 1:18 scale model is approximately $11.95 within the United States, international rates are higher. Actual shipping cost can be calculated after adding an item to a shopping cart.